Looking for reliable and affordable Computer Repairs, Services and Help in the Rockhampton area? Geekmobile is a Friendly, experienced Computer Repair company operating throughout the Rockhampton region. Our Technicians are of the highest standard and we fully cover the Rockhampton area and the surrounding suburbs including Barney Point, Berserker, Rockhampton, Yeppoon, Norman Gardens, Allenstown, Agnes Water, Alberta, Gracemere, Park Avenue, Emu Park, Biloela, Adelaide Park, Tannum Sands, Frenchville, The Range, Blackwater, Boyne Island, Wandal, Clinton, Kawana, Builyan, Moura, Boyne Valley, Koongal, Boynedale, Rockhampton North, New Auckland, Rockhampton City, Charleville, Parkhurst, Zilzie, Barcaldine, North Rockhampton, Nerimbera, Glen Eden, South Gladstone, Kin Kora, Hughenden, Woodgate, Kirkwood, Bauhinia, Bajool, Beecher, Gladstone South, Miriam Vale, Mount Morgan, Rockyview, West Rockhampton and Yaraka just to name a few! 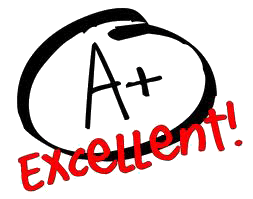 "The gentleman that fix the virus did a great job and was very helpful Thank you. still checking my back up files to check if I have the required files. before perhaps paying the virus ransom. thanks again Dave"